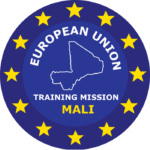 In accordance with the EUTM Mali and MaAF planning for 2018, a CMATT was conducted in order to deliver military education, advice and training in the 2nd MR (SEGOU), between 04JUN2018 and 06JUL2018. 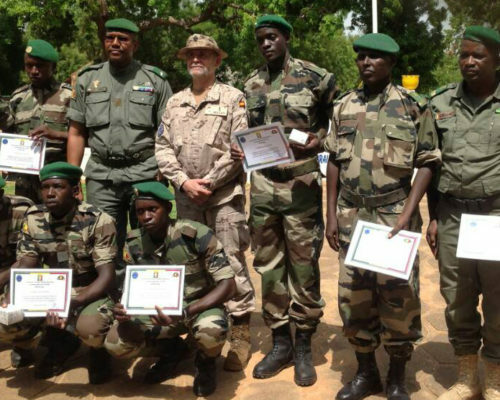 Its purpose was to improve the ability of the Malian Armed Forces (MaAF) to plan, execute and conduct military operations with the MaAF units located in SEGOU, as well as improve the leadership skills of cadets from Malian NCOs School. 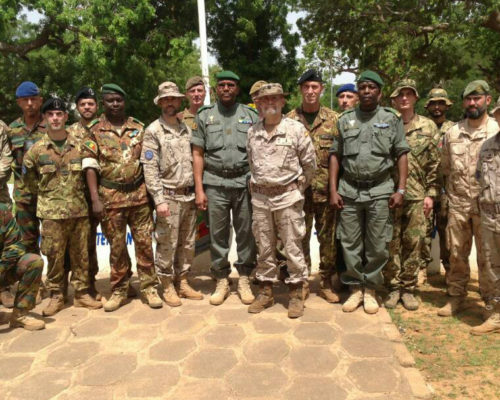 Among the one hundred and six participants of the EUTM Mali in the SEGOU CMATT there were personnel from 16 different countries. 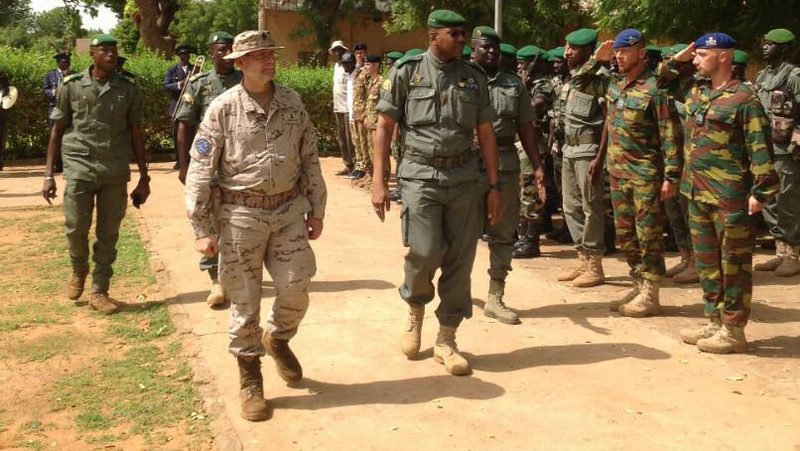 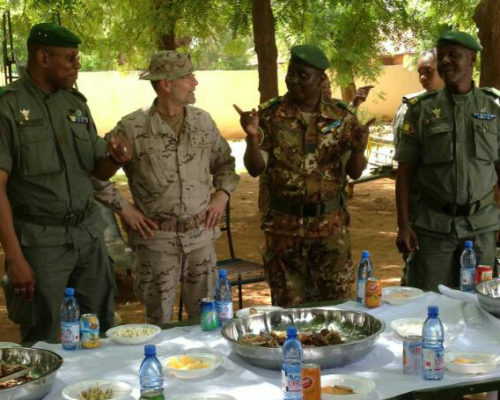 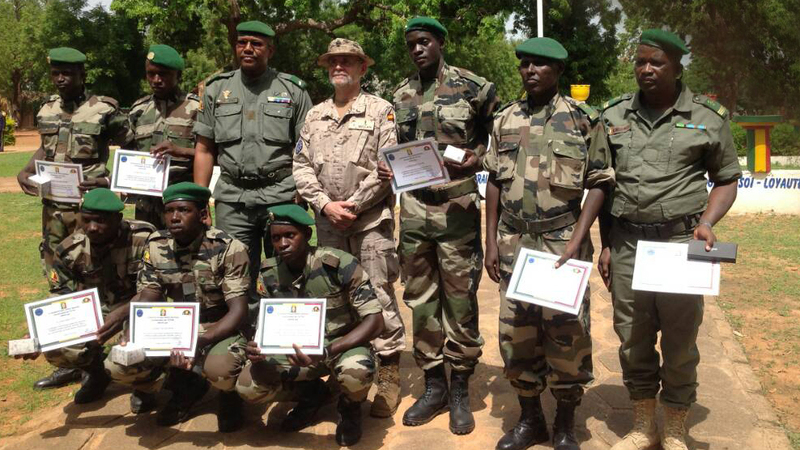 • 206 Con-Commissioned Officers and Malian soldiers from the second military region. 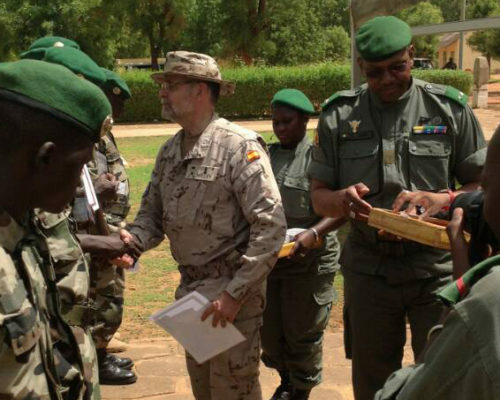 • 115 Students from the Banankoro School of Non-Commissioned officers (ESO). 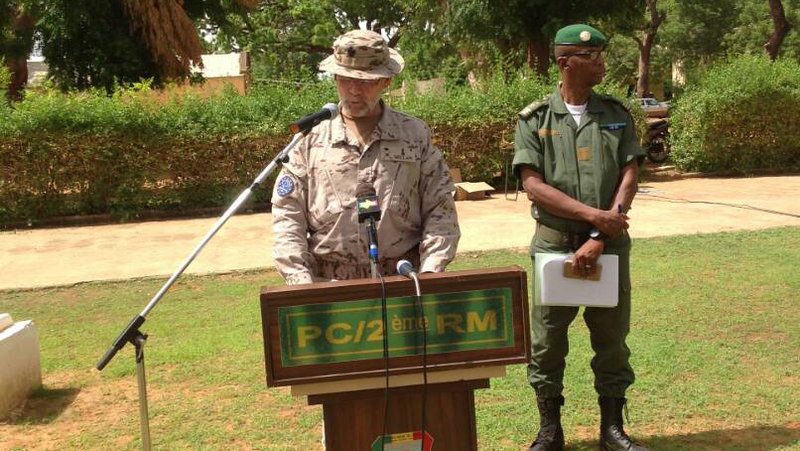 • 10 Officers from the National Police. 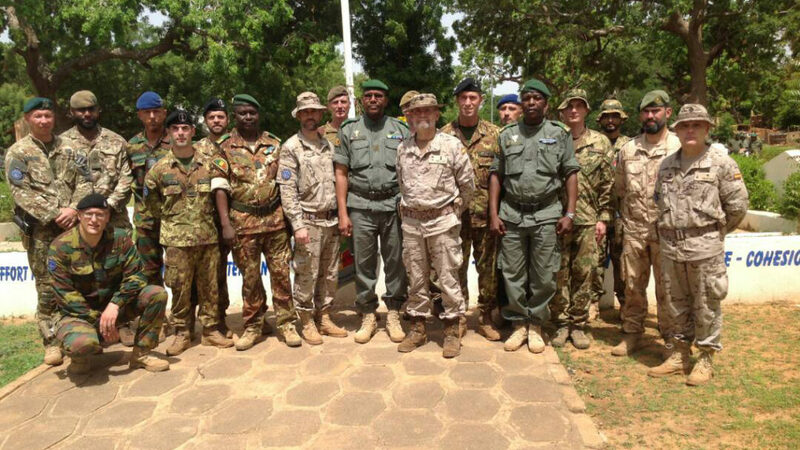 • 21 human resources specialists from the second military region. 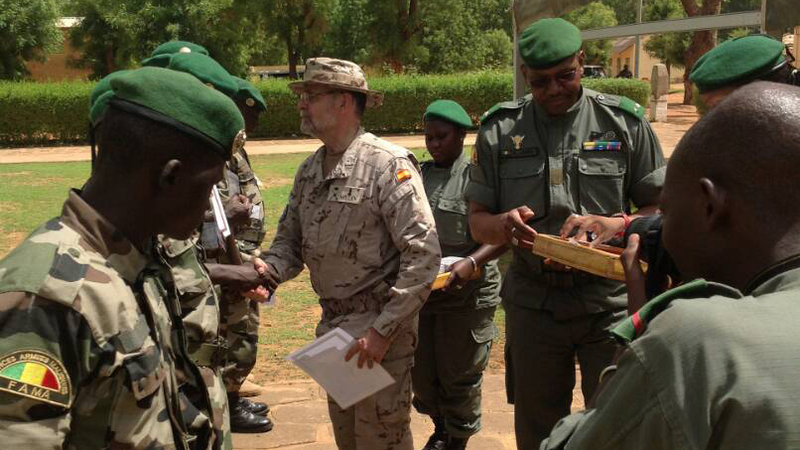 • 42 new female recruits for management positions at the Markala Training Centre. 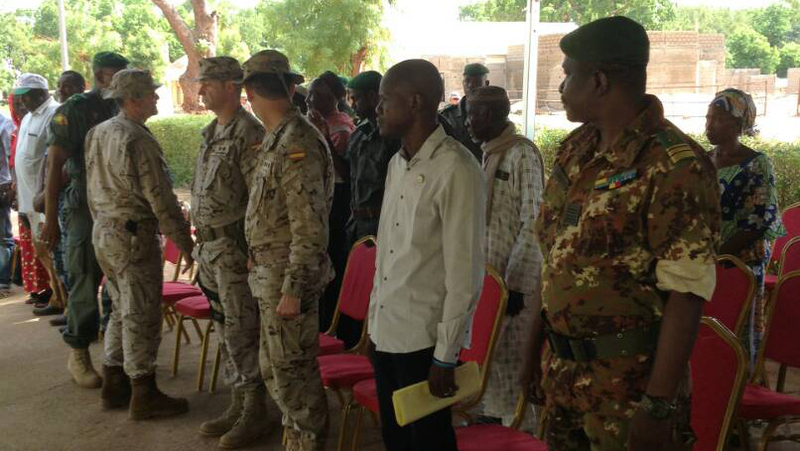 During specific sessions, the CMATT personnel specialized in the fields of International Human Law (IHL), Public Affairs Office (PAO), and Legal Advise (LEGAD) were also delivering lessons. 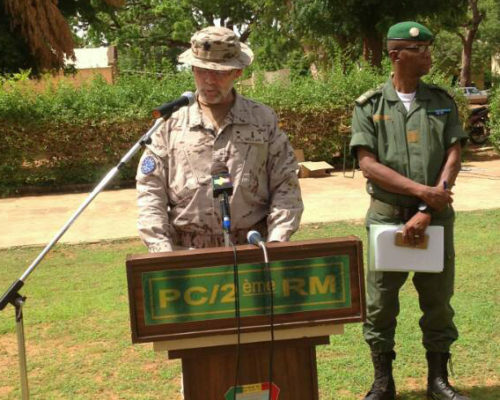 This was the thirteenth CMATT since this modality of EUTM decentralized support started in 2016, and it was the third time deployed to the benefit of Segou’s second military region. 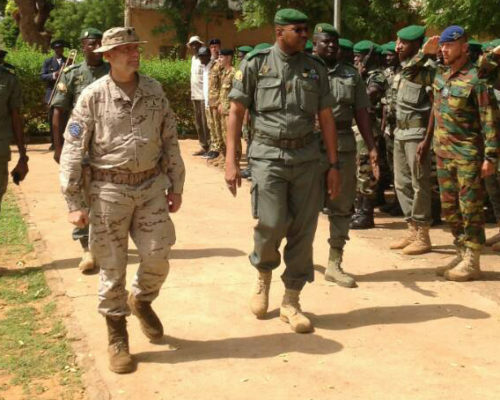 The security of the CMATT was provided by a Force Protection Team. 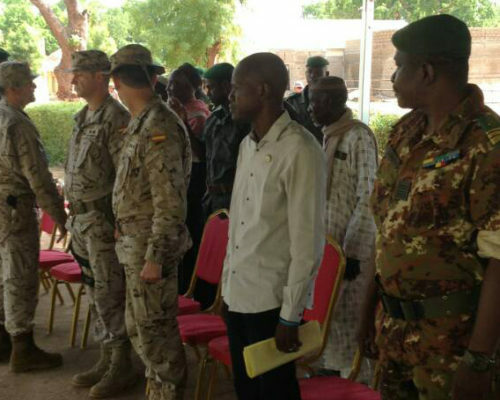 The closing ceremony took place on 5 July in Segou and was co-presided by the CEMAT (Chef d’état-major de l’armée de Terre) of the MaAF General Baby Abdrahamane and the EUTM Mali’s Mission Force Commander General of Brigade Enrique Millan. 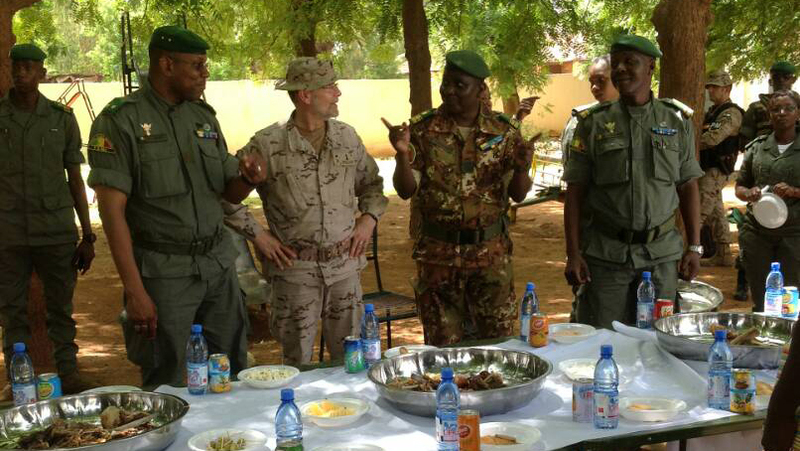 Other civil and military authorities attended the event.